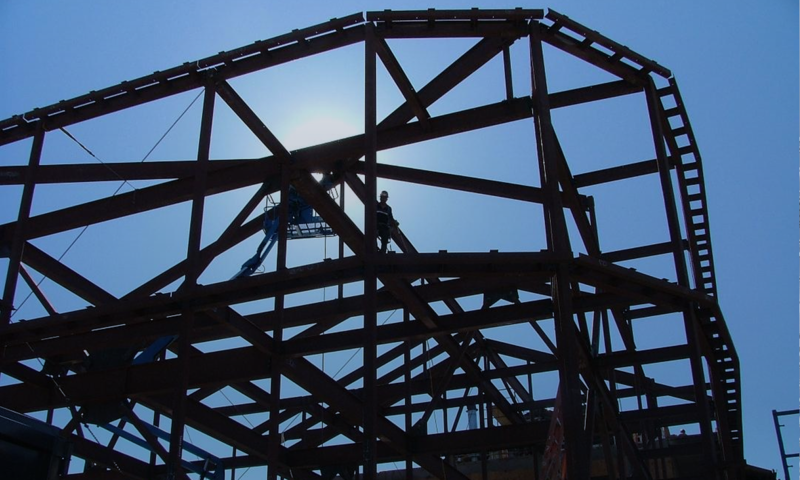 AESS Steel Framing – Kern Steel Fabrication, Inc. 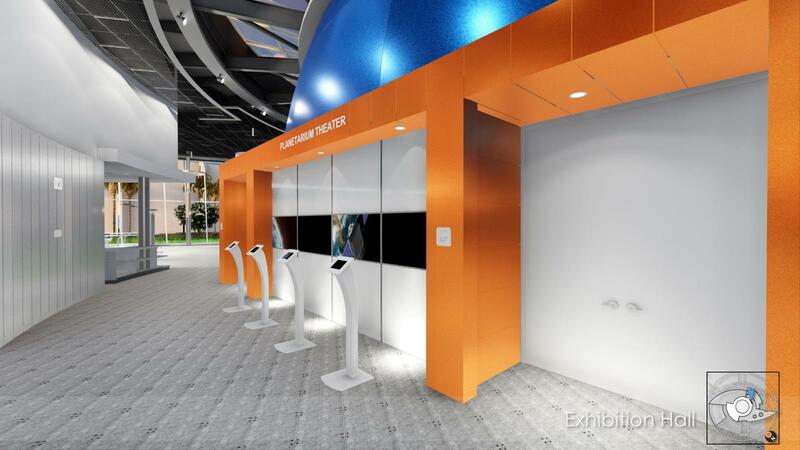 Description: New 12,124 sq. ft. Planetarium Building on the Orange Coast College Campus (Includes 100 seat Planetarium Theater, an Exhibit Ares, and a 60 ft. tall Foucault Pendulum Tower. Kern Steel fabricated and installed Structural steel framing (columns, beams, braces, girts etc. ), extensive concrete embeds and AESS Steel Framing. 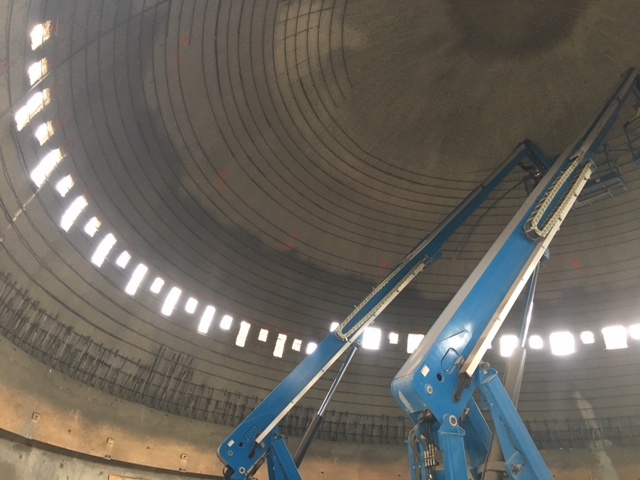 The project manager on this job stated that some of the challenges faced were in the detailing, layout and erection of the structural steel due to the extensive use of embeds located in curved concrete walls and in the planetarium dome itself. The placement of these embeds and their connection plates was critical to making the steel structure assembly properly. KSF employed a survey crew to assist with the placement of the concrete embeds as well as locating the field welded connection clips at precisely the right elevations and angles. The Foucault Pendulum tower is fabricated from tube steel ellipses, sloping columns, and 'V' braces. Due to the complexity of the tower, it was completely assembled in Kern Steel's fabrication shop to ensure everything fit correctly before disassembling it and shipping it out. Exposed skylight braces were fabricated using "Castconnex" universal pin connectors on the ends to provide a unique architectural look at the 10 curved skylights just outside the main theater area. Finally, AESS components were a critical part of this project since there are numerous steel columns, skylight braces, canopies, and exhibit hangars that are exposed in the final construction. 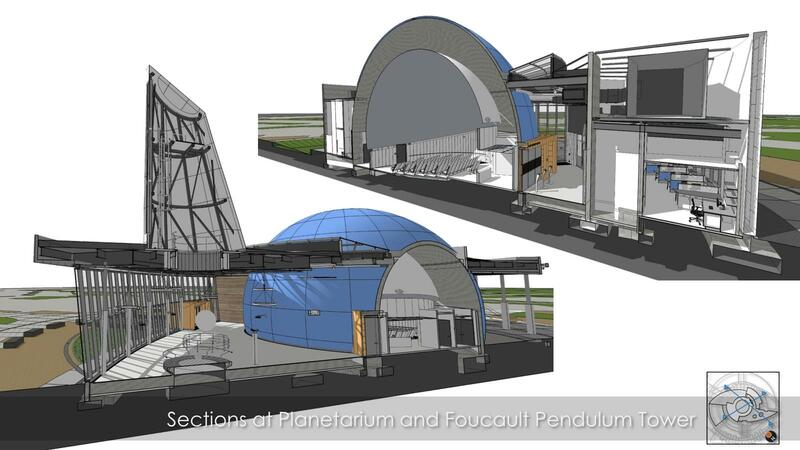 The planetarium is set to open in the fall of 2018.